Thunder Bay Press, 9781626864399, 224pp. 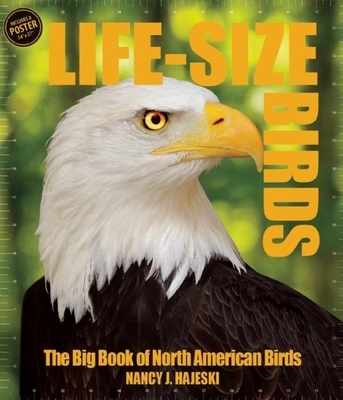 The biggest book on North American birds this century! John James Audubon would be proud to know that a life-size bird book is alive in the twenty-first century. You won't need Sotheby's auction house to buy this volume, though! Full-size images of beautiful feathered friends offer a detailed look at each North American species, while scaled photographs of larger birds allow you to see the entire animal. Fun facts pepper the pages, and a summary of general information accompanies each avian. Get an up-close, personal look at the world's masters of flight!